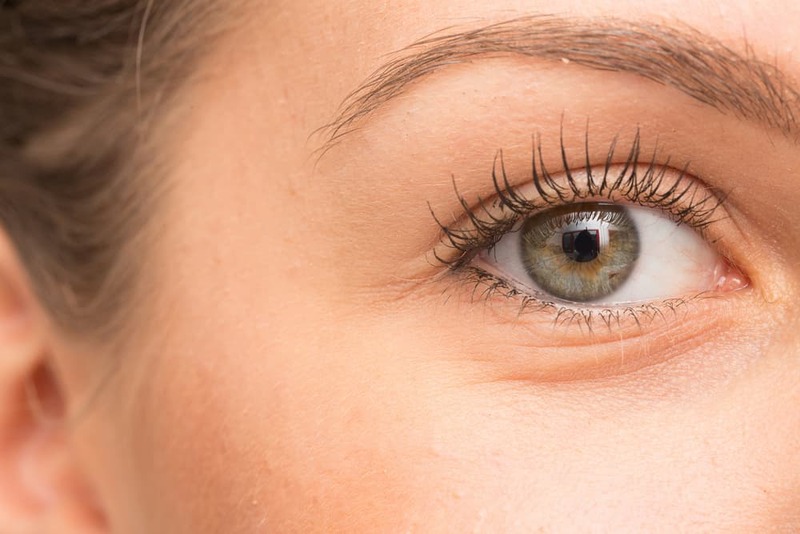 As we get older, our blood circulation deteriorates and the collagen in our skin depletes, which causes blood vessels under the eyes to show through more prominently. Dark circles under the eyes often run within a family and can also be down to skin type. People with olive skin are more susceptible to hyperpigmentation under the eyes because their skin has more melanin. Those with very fair and thin complexions are also likely to get visible dark circles because dilated blood vessels appear more visible under thin, pale skin. The skin beneath the eyes is 40% thinner than the rest of the face which makes it especially prone to sun-induced damage and hyperpigmentation. What can do you to prevent dark circles? When your body is dehydrated, it desperately tries to retain water, causing your eyes to swell and under-eye circles to become more visible. Make sure you drink eight to ten 8-ounce servings of water per day to keep your eyes clear and sparkling and the skin beneath them tight and plump. It’s called “beauty sleep” for a reason. 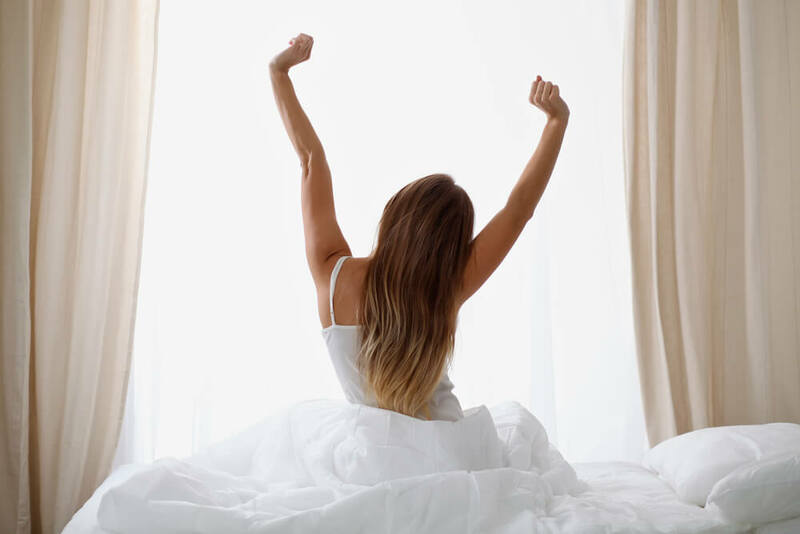 Your body recovers and repairs itself while you sleep and that leads to a long list of benefits for your health and appearance. If you skimp on sleep regularly, you are likely to end up with a drab, sallow and lifeless complexion. 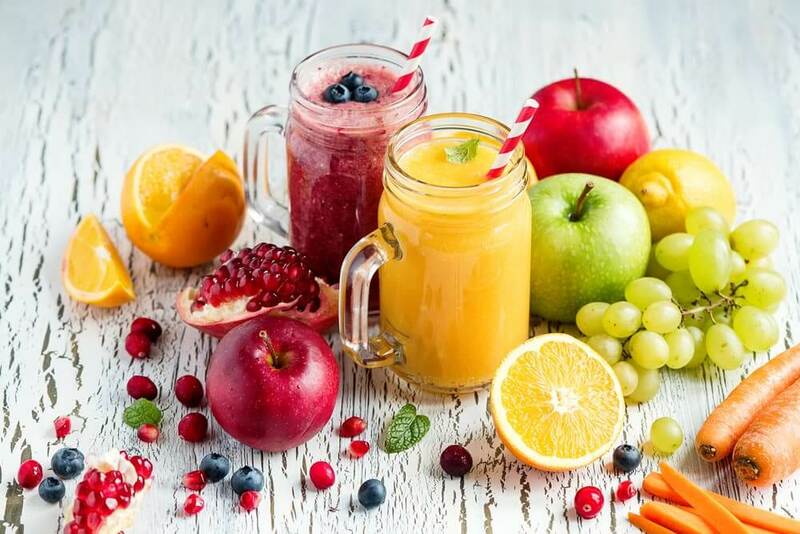 If you want to keep your skin healthy, plump and wrinkle-free, it’s important to pay attention to what you eat and drink. Too much, salt, refined carbohydrates and alcohol dehydrate your skin and make dark circles beneath them look worse. 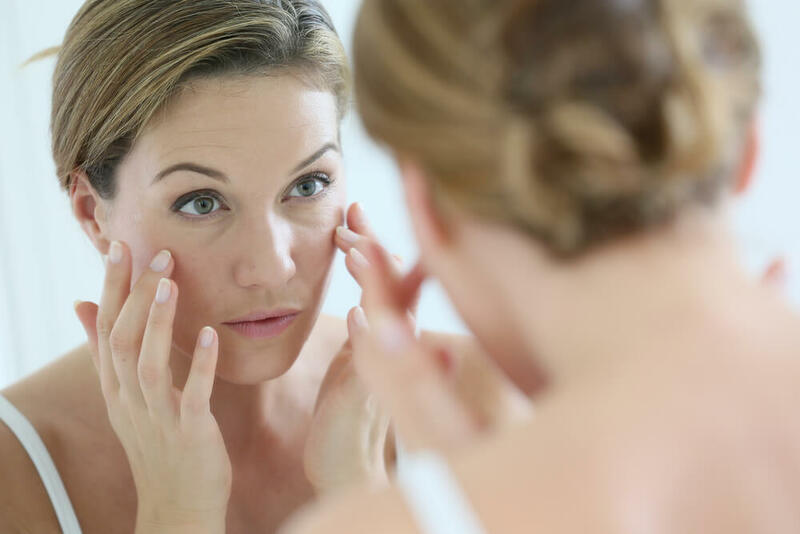 Sun damage accounts for about 80% of visible signs of ageing and the thin skin under the eyes is especially prone to hyperpigmentation and fine lines. 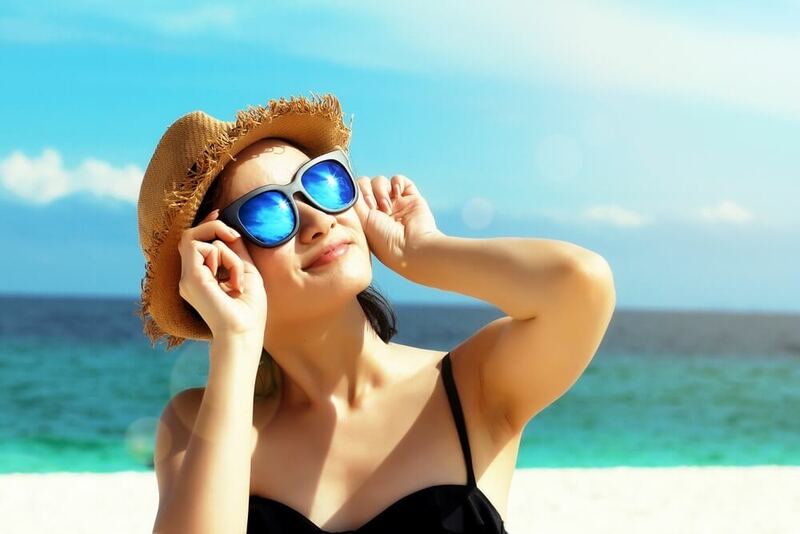 To protect your eyes (and the skin around them) from the sun’s harmful rays, apply sunscreen with SPF of at least 15 all year round and wear sunglasses that can filter out UV radiation. Hydrafirm is specifically designed to help minimise all signs of ageing around the eyes. 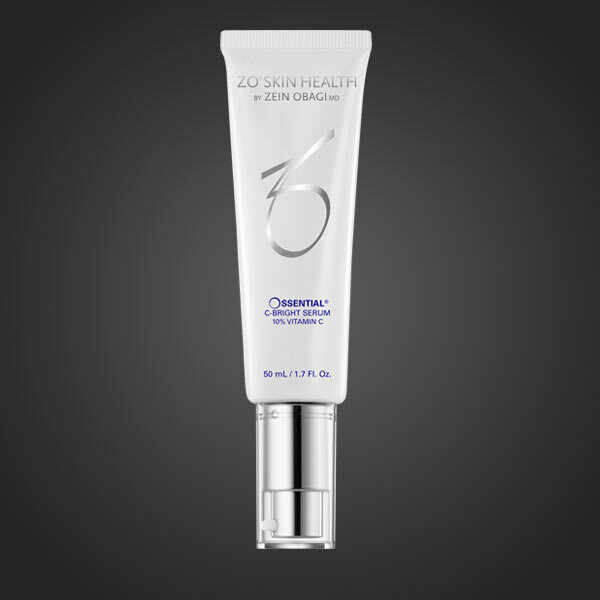 You will get visibly smoother and firmer skin after just one application. Packed with vitamin A, proteins and enzymes, Hydrafirm stimulates the production of collagen to restore skin elasticity and immediately softens the appearance of dark circles under eyes. 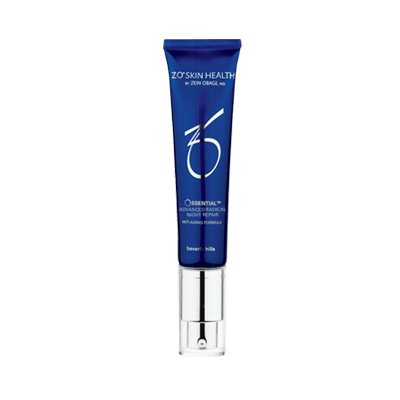 Ossential C-Bright Serum Plus provides a potent dose of 10% pure vitamin C that brightens and re-textures the skin. Vitamin E and co-enzyme Q-10 protect your skin from free radical damage and prevent new pigment formation. 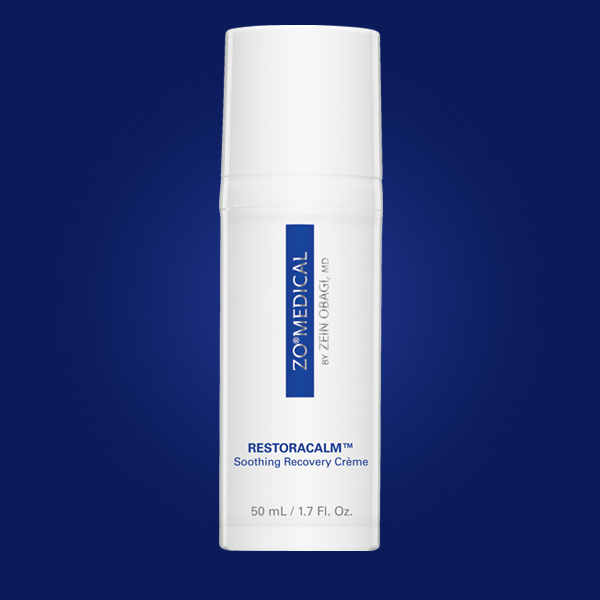 Ossential Advanced Radical Night Repair contains 1% retinol that targets sun-induced damage and pigmentation, fine lines and wrinkles. 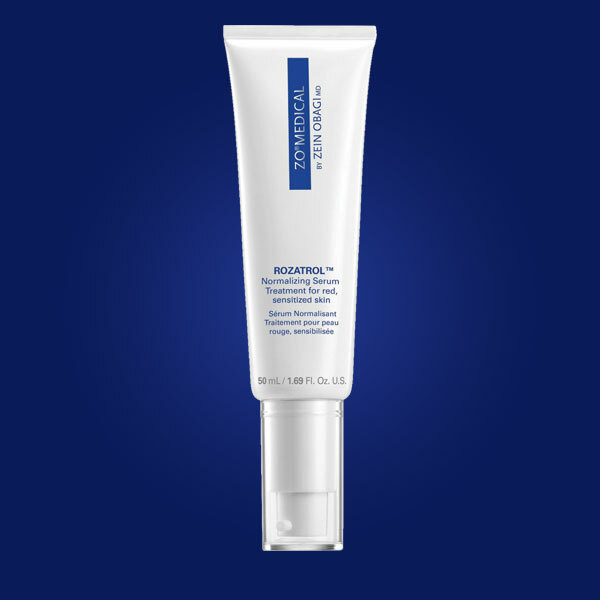 Formulated with vitamins C, A and E as well as plant stem cell skin protectors, Advanced Radical Night Repair improves skin brightness, improves skin texture and elasticity and protect the skin from future damage. 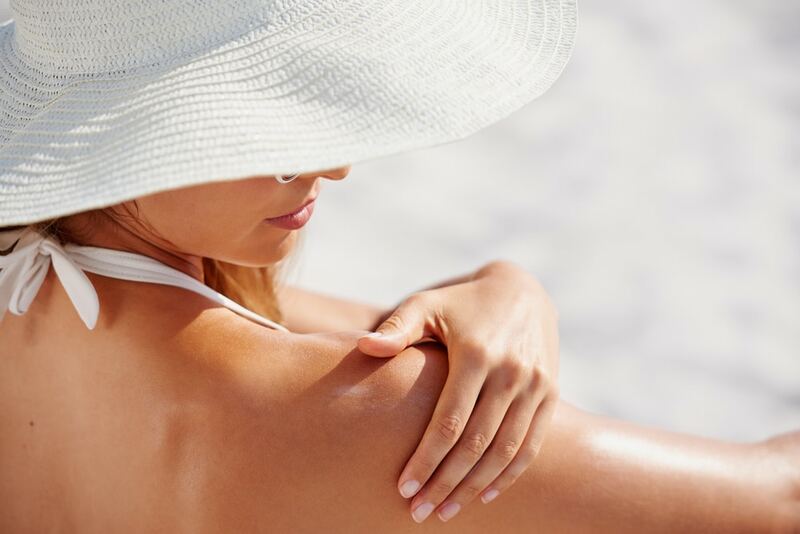 Sun damage accounts for about 80% of visible signs of ageing. 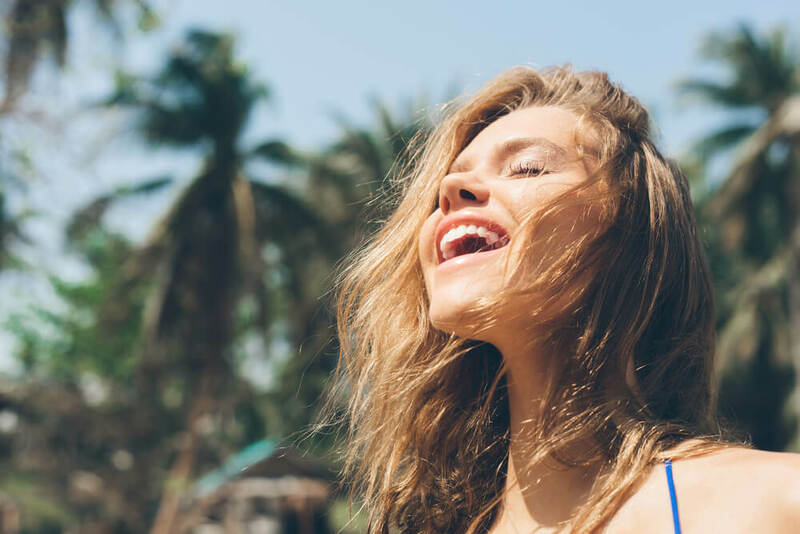 No matter how careless you’ve been with sun protection in the past, get religious about it right now to prevent fine lines and wrinkles from getting worse. Oclipse Smart Tone SPF 50 provides a broad-spectrum protection against the harmful effects of UVB, UVA and HEV radiation. It’s formulated with customisable colour beads that blend seamlessly into most skin tones and provide a sheer matte finish. 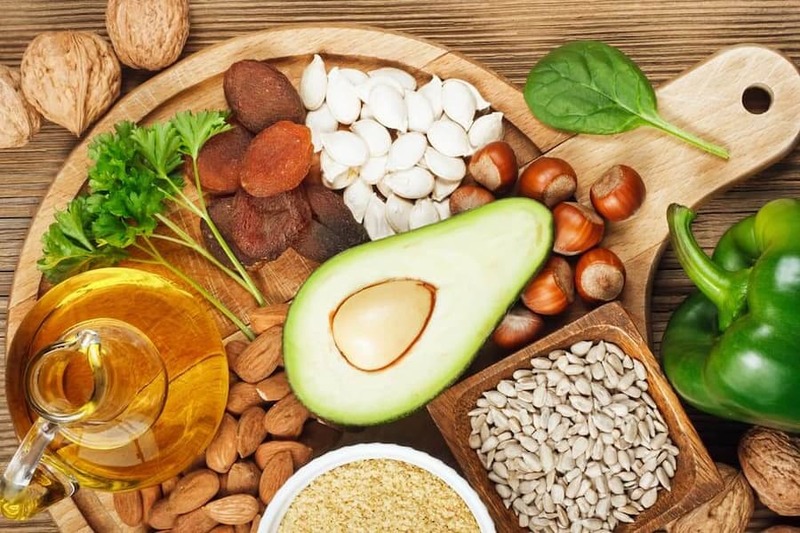 Active vitamin A supports the healthy function of skin’s protective barrier and encourages collagen production to restore and maintain skin elasticity. 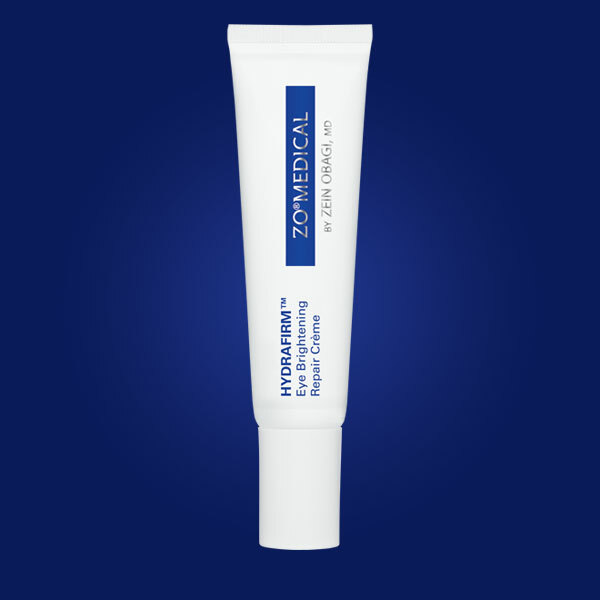 Hydrafirm™ is a potent repair eye cream that addresses all signs of ageing in the delicate eye area. 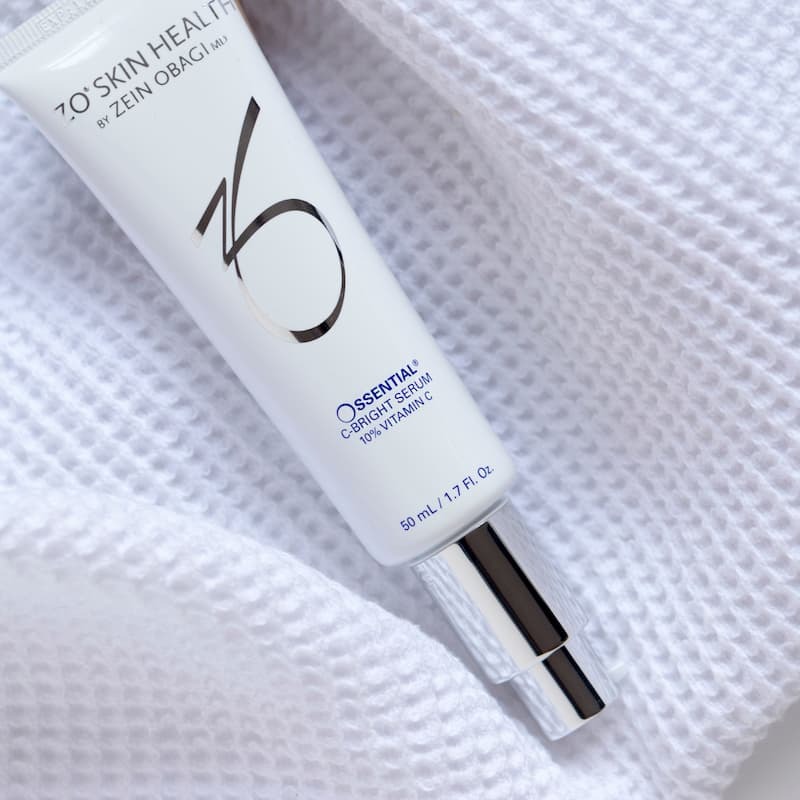 It’s packed with active vitamin A, hyaluronic acid and enzymatic vasodilators to smooth fine lines around the eyes, soften the appearance of dark circles and reduce puffiness. 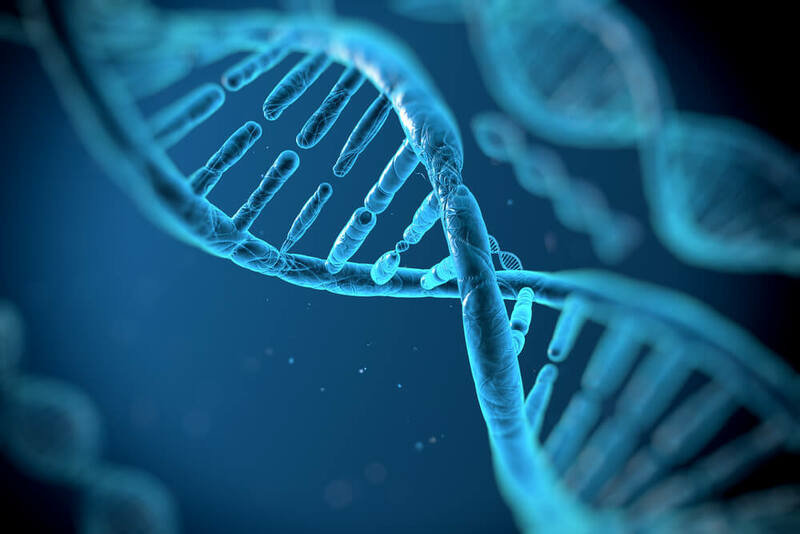 You can’t see it, but your skin is constantly under attack by unstable, reactive molecules called free radicals. 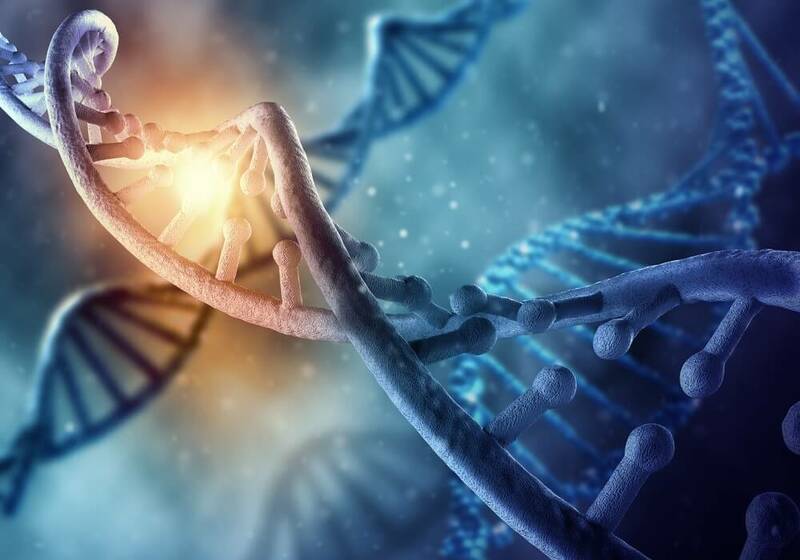 Environmental factors such as UV radiation, air pollution, cigarette smoke can spawn free radicals, but they can also form through natural physiological processes. Unchecked, free radicals attack proteins like collagen, lipids and elastin fibres which causes your skin to lose firmness and elasticity. 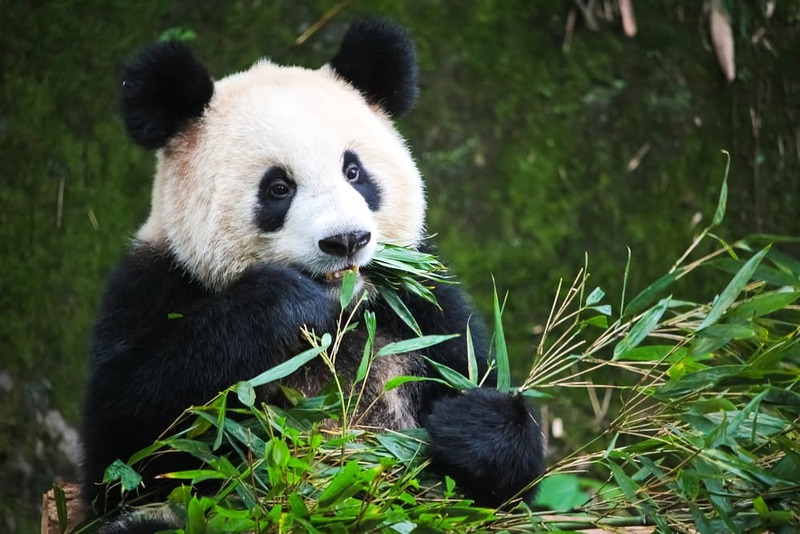 So, how can you protect your complexion from the harmful effects free radical damage? Antioxidants, vitamins C and E in particular, are your most powerful allies in the fight against free radicals. Vitamin E binds with free radical to create stable molecules and neutralises their damaging effects. 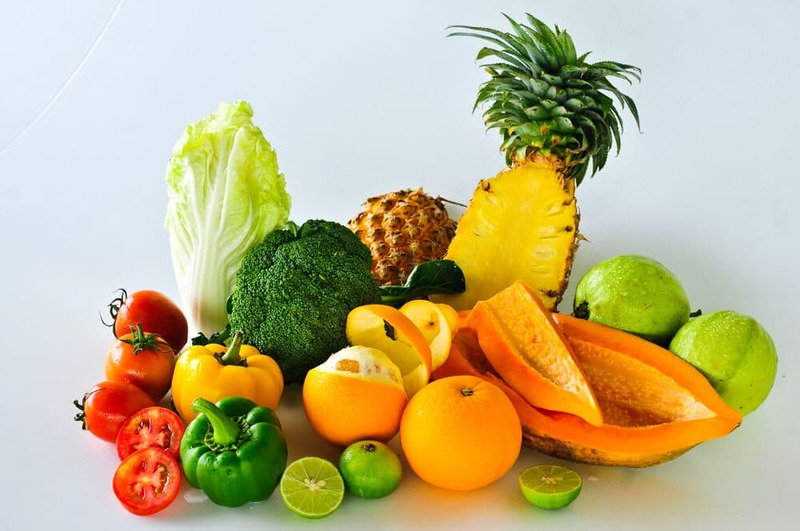 Vitamin C boosts collagen production and helps your skin heal itself faster. 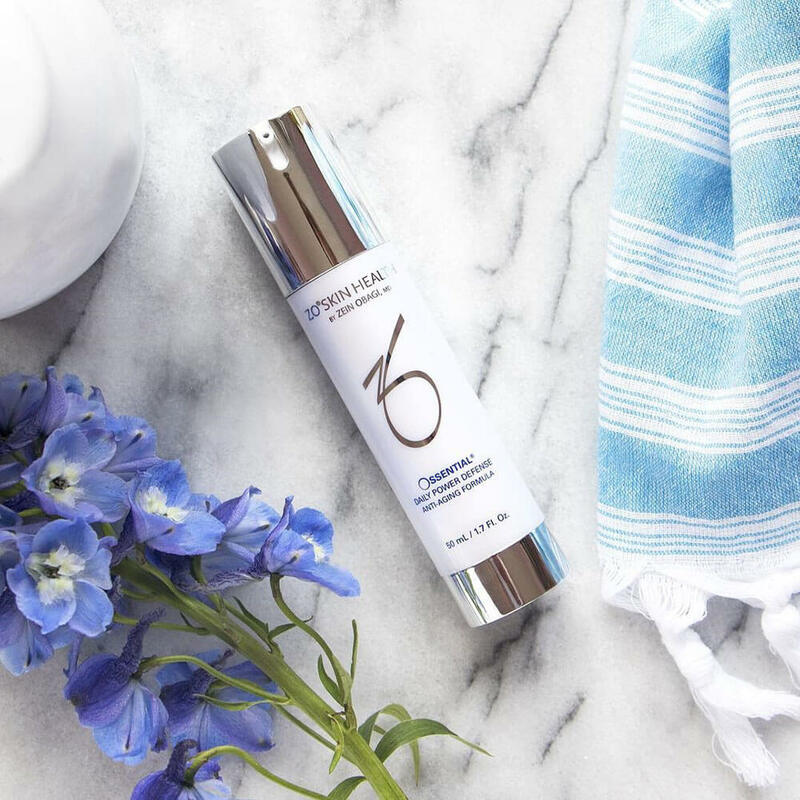 Ossential C-Bright Serum provides a potent dose of 10% vitamin C, combined with vitamin E and co-enzyme Q-10, to protect your skin from environmental damage and minimise the appearance of fine lines and wrinkles. Christmas is a magical time of the year, filled with celebration and overindulgence on comfort foods, wine, sweets and canapés. After all, tis the season to relax and be jolly. 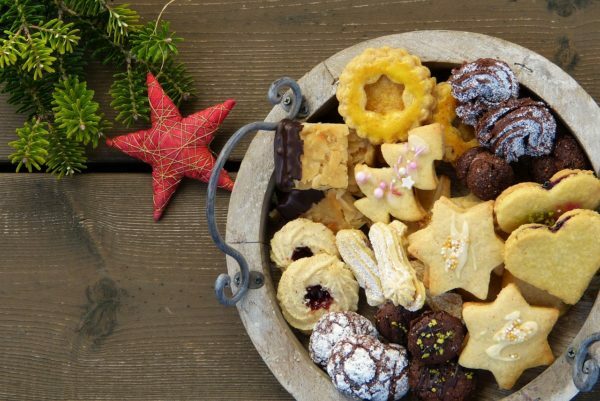 Let’s face it, Christmas just isn’t the same without the abundance of sweets and goodies. We won’t judge you (we’ve all been there) if you’ve consumed your body weight in mince pies or eaten an entire box of Quality Streets by yourself. While an occasional sweet binge is okay, regular sugar indulgence wreaks havoc on your skin. 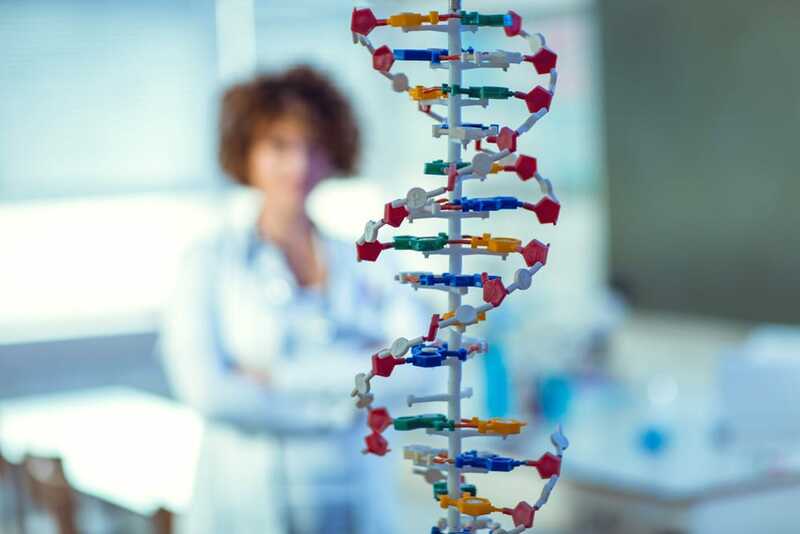 When sugars hit our bloodstream, they form molecules (AGEs) that break down collagen and elastin – the proteins that keep skin firm and elastic. On top of that, high-glycemic foods are responsible for excessive insulin production. Insulin spikes send our body signals to produce certain growth factors that exacerbate hormone imbalance, causing breakouts and irritation. So, do your skin a favour and skip the dessert as often as you can. Your waistline will thank you, too! When it comes to skin health, salt is just as bad as sugar. 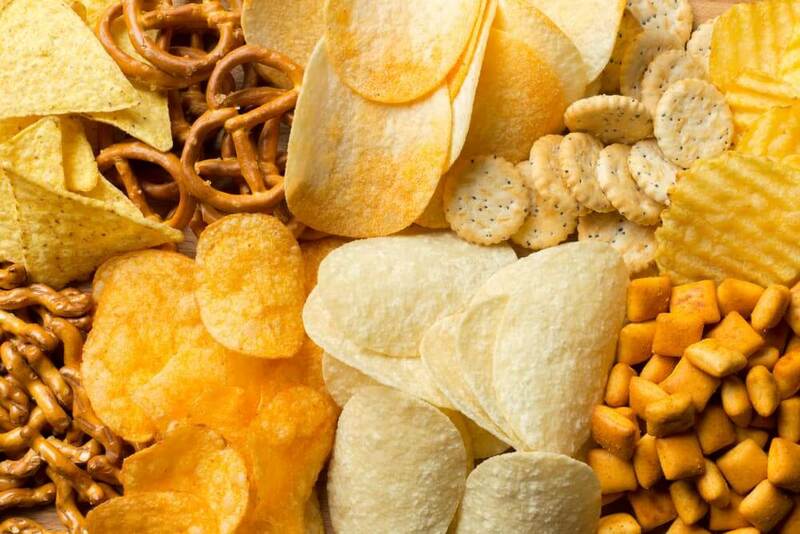 Pretzels and other salty treats are most likely the reason behind those under-eye bags that we all hate so much. 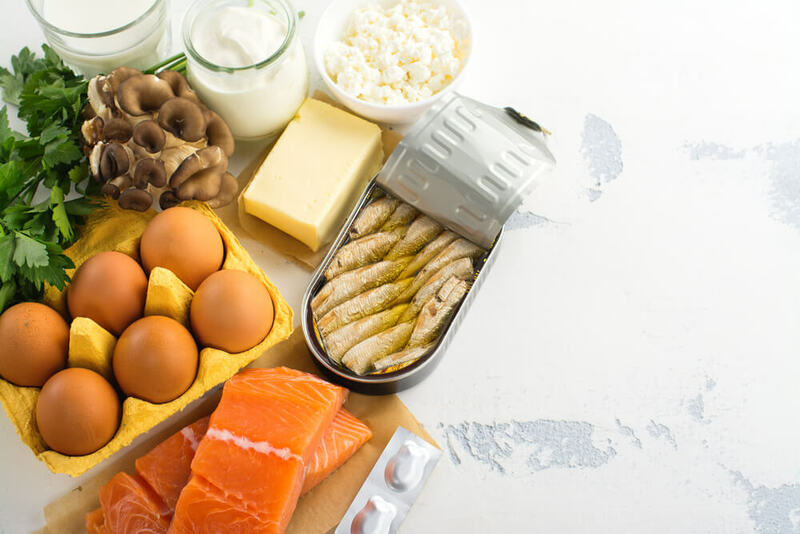 While sodium is a very important nutrient in our diet, excessive amounts prompt the body to hold onto water, giving the face a bloated appearance and causing puffiness around the eyes. 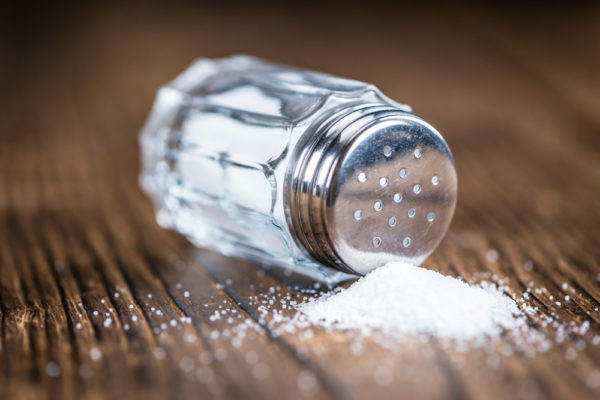 You should really pay attention to your salt intake if you have acne-prone skin. Excessive consumption dehydrates your skin and tricks your glands into producing more oil to compensate for the water loss. If you’ve hit the cocktail bars a little too heavily over the Christmas break, you should give Dry January a try. Especially if you suffer from rosacea or have dry and sensitive skin. Alcohol dehydrates your body generally, including its largest organ – your skin. Wonder why those nasty face flushes won’t go away? Alcohol has a lot to do with it because it causes blood vessels to dilate, triggering redness and irritability. 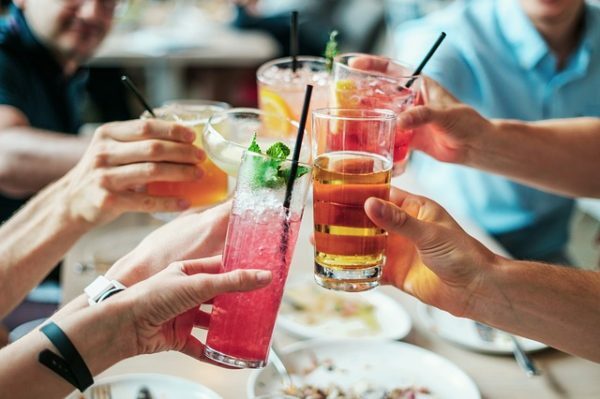 Regular alcohol overindulgence can also cause permanent skin damage such as broken capillaries and spots. So, for the sake of your skin health, take a break from alcohol this January and stock up on herbal teas, coconut water and juices that are rich in antioxidants. Did you know that your skin cell turnover is working 8 times faster while you are sleeping at night? Well, it is called beauty sleep for a reason. 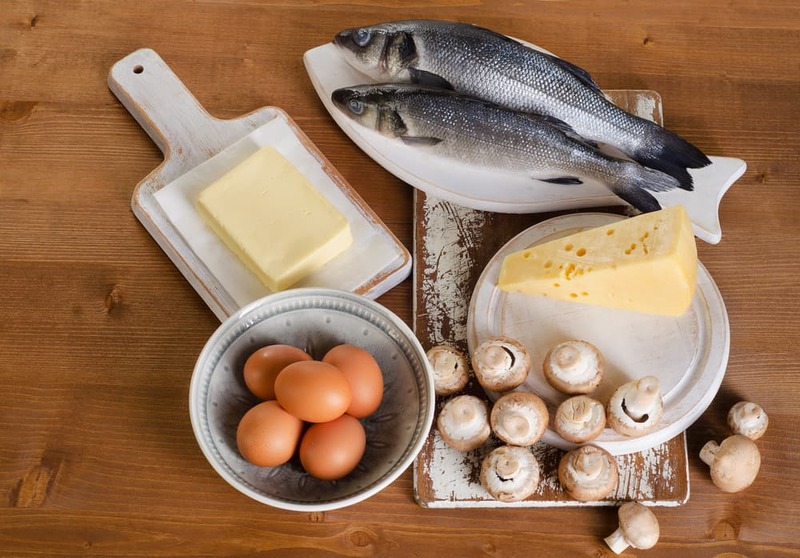 If you are regularly short of sleep and going to bed late, you are likely to suffer from hormone imbalances that are tied to skin problems such as eczema and irritant dermatitis. In addition, your sleep-deprived body is releasing more of the stress hormone cortisol. Cortisol not only increases inflammation in the body but is also directly correlated with acne breakouts. Search no more for an excuse to sleep in! Go to bed on time, sleep at least seven hours per night and wake up with glowing skin in the morning. Yes, it’s that time of the year again! 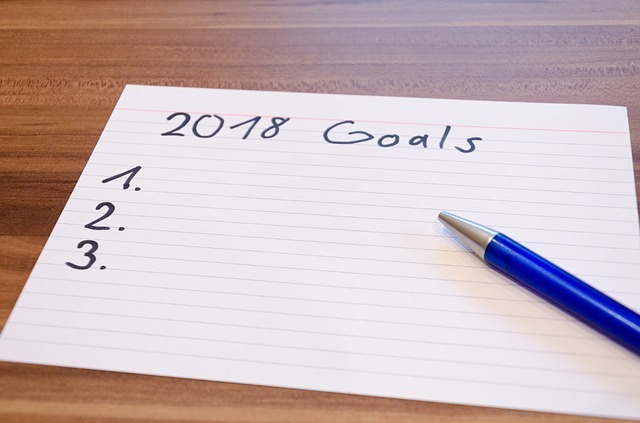 That time when we are all promising ourselves that in the New Year we will hit the gym harder, eat better, work harder at our jobs, but also make more time for our hobbies. Usually by the end of February our enthusiasm has drained, and we go to the gym every fortnight and drink soda instead of a smoothie. 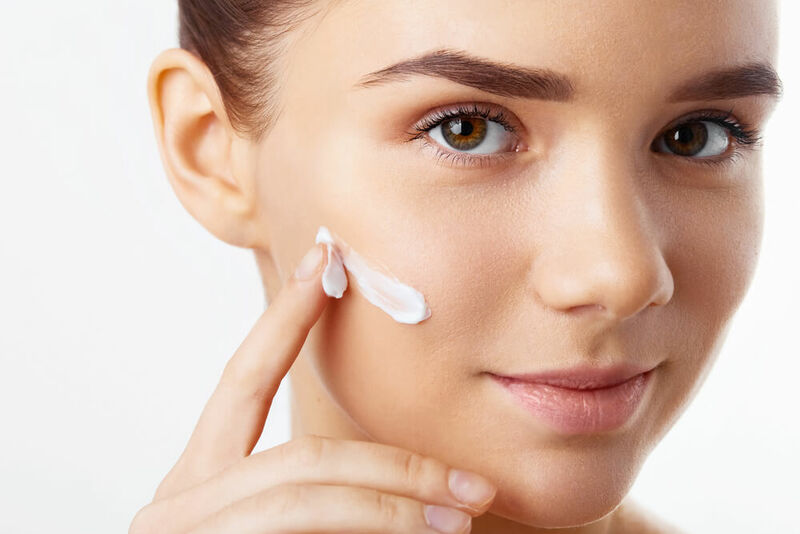 This year instead of making big promises, we are unlikely to keep, we have put together 5 small easy tips to help you with your skincare resolutions, that are going to make a big difference for your skin. 1. I will wash my makeup brushes at least once a month. 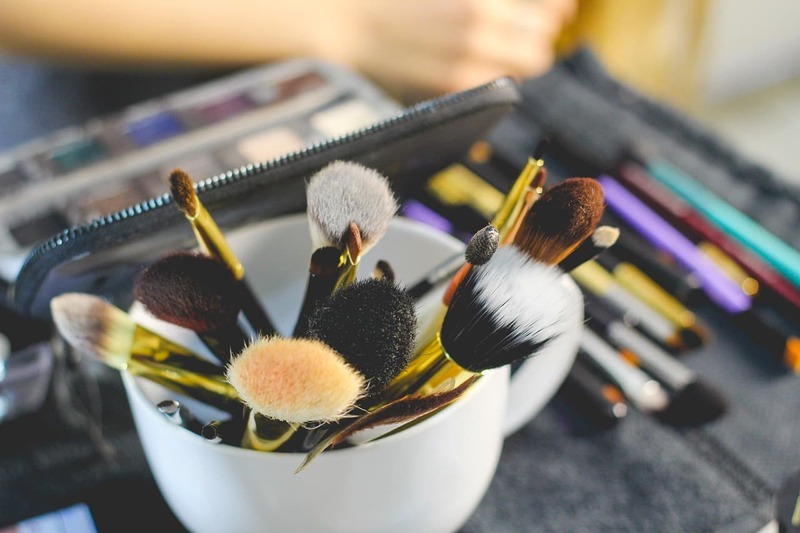 Makeup and oils from your skin build up on your brushes making them a breeding ground for bacteria. Ideally you should be cleaning your brushes every week, but it’s more realistic to make a monthly commitment. Wash them with lukewarm water and gentle soap and leave them to dry thoroughly. 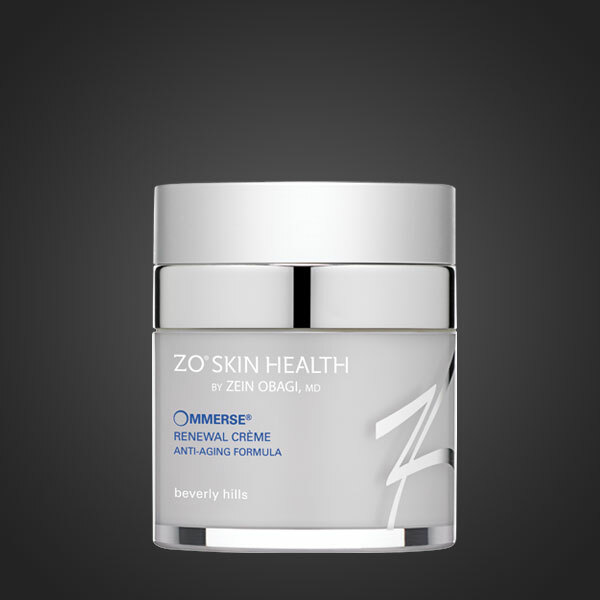 Baby’s skin takes 14 days to replenish itself completely. With ageing the skin dries out quicker and takes longer to replenish. If you don’t want your skin to lose its smoothness and glow, you need a good exfoliator to remove dead cell build-ups and kick-start the renewal process. Make sure you use products that clean your skin without breaking its natural barrier. Offects® Exfoliating Polish contains vitamins C, A and E that give your skin an antioxidant protection and preserve its natural hydration. 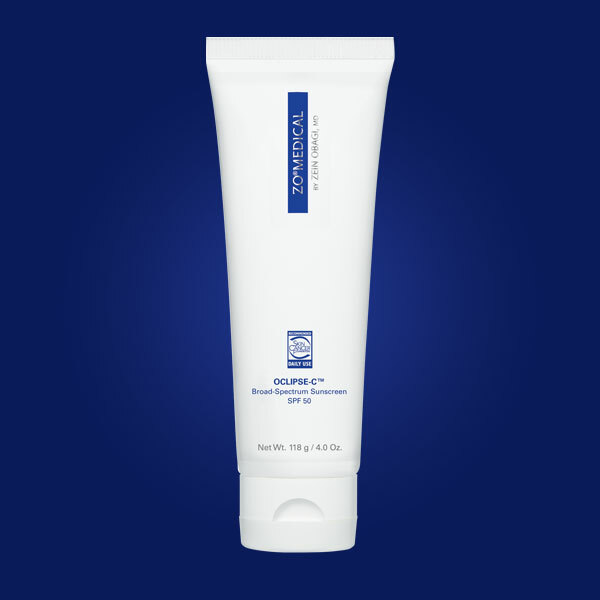 Exfoliate regularly to achieve a smooth, glowing complexion. Smoking and unprotected sun exposure are the top reasons for premature ageing. Forget about tanning this year and apply SPF every time you are about to go outside. Yes, in the winter months, too! Don’t use a sunscreen with a SPF lower than 15 even if you don’t burn easily. 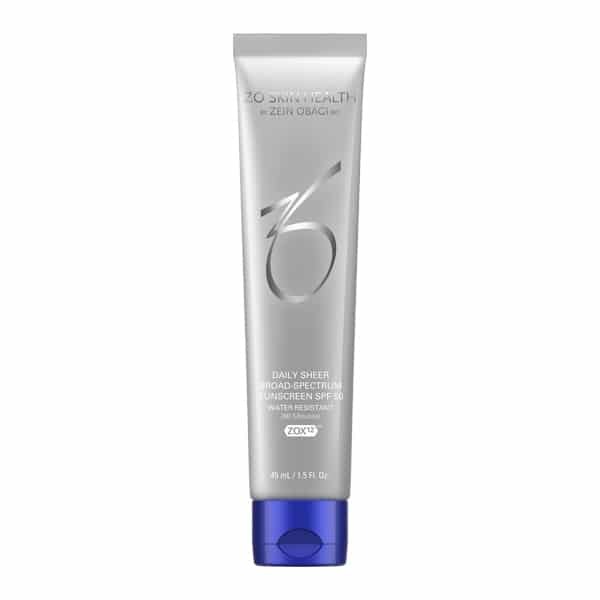 In sunscreen feels “heavy” on your skin, choose a non-greasy formula such as the Oclipse® Daily Sheer which blends seamlessly into the skin and gives you a long-lasting protection. 4. I won’t skip cleansing before bed. After a long hard day at the office it might be tempting to skip your cleansing routine and head to bed or just use makeup wipes. While swap and slumber is quick and convenient, makeup wipes are not a friend of your skin. They often contain detergent chemicals that can be highly irritable and more importantly wipes will not remove all the dirt from your pores. So, if you don’t rinse your face after using makeup wipes or, even worse, don’t clean your makeup at all, you are likely to wake up with a breakout. You will enjoy much healthier skin this year, if you toss out the makeup wipes and resolve to a nightly wash with a gentle and hydrating cleanser. 5. I will stick to my resolutions and my skincare regimen. 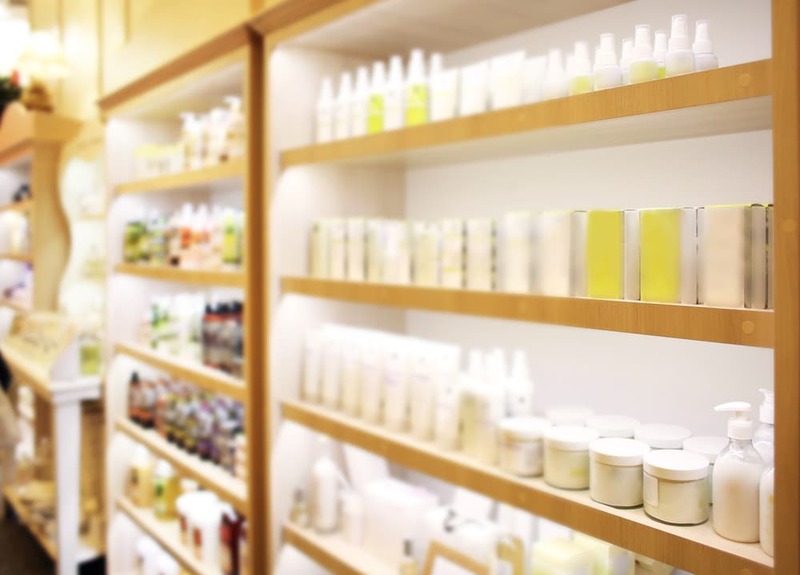 It is natural to expect immediate results when you start a new skincare regimen. However, some product and ingredients take weeks or even months to work. And ultimately, beautiful skin requires a continuous, lifelong routine. Don’t give up on your skincare regimen, if you don’t see the expected results straight away, it takes time. Take a few steps now and your skin will thank you later. Why is it important to keep a regular skincare regime? Keeping up a regular skincare regime can be difficult to juggle with a busy work and social life. With everything else going on in our lives, applying skincare products each morning and evening can be difficult to religiously keep up! 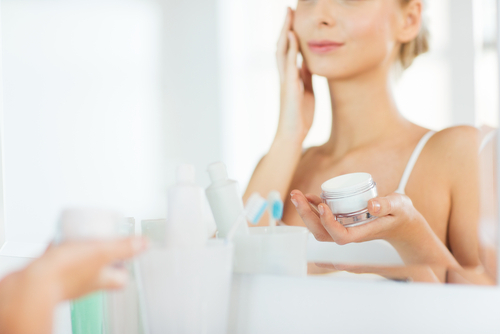 However, keeping a regular skincare regime is a very important investment, that will lead to healthy and clear skin. Regular maintenance is the key to keeping your skin in good condition for years to come. Many people only think about starting a consistent skin regime after their skin shows signs of acne, congestion or ageing. However, keeping a regular skin regime can help prevent these issues, and should take no longer than 5 minutes every morning and evening. A lot of people will try a new skincare product, only to give up after a few uses if they don’t see immediate results. Active ingredients and a regular skincare regime can take up to a few months before you start to see visible results – so don’t give up if you don’t see overnight results! Think of your skincare regime like an exercise routine, it takes consistent practice and time, but you will start to see subtle improvements if you keep at it. 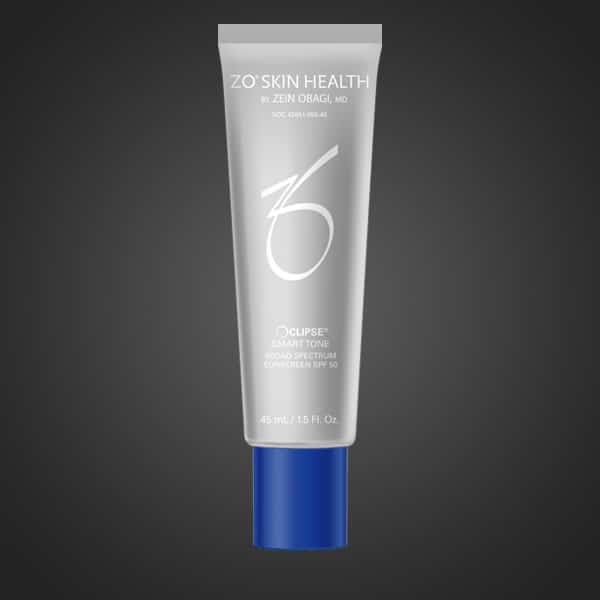 The ZO Fundamental 5 is the perfect starting point for your skincare regime. 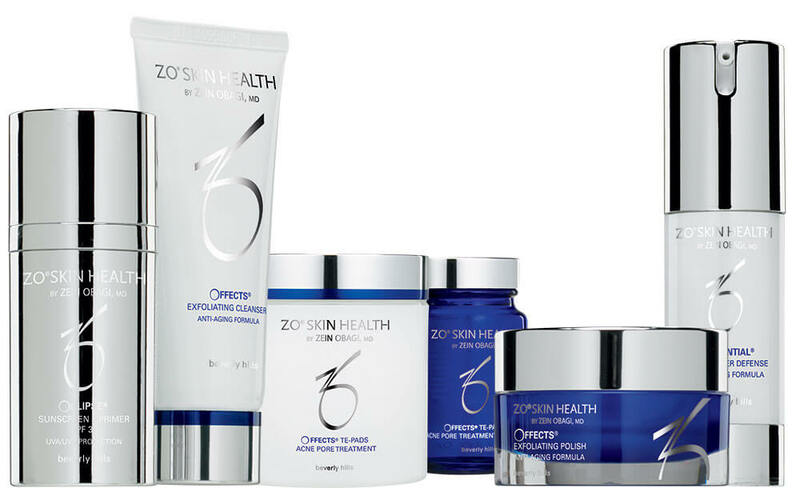 These are a carefully selected group of products recommended to rejuvenate and revitalise dull, tired skin. In 5 easy steps, you can start your regular skincare regime. Wash, scrub, oil-control, stimulate and protect. 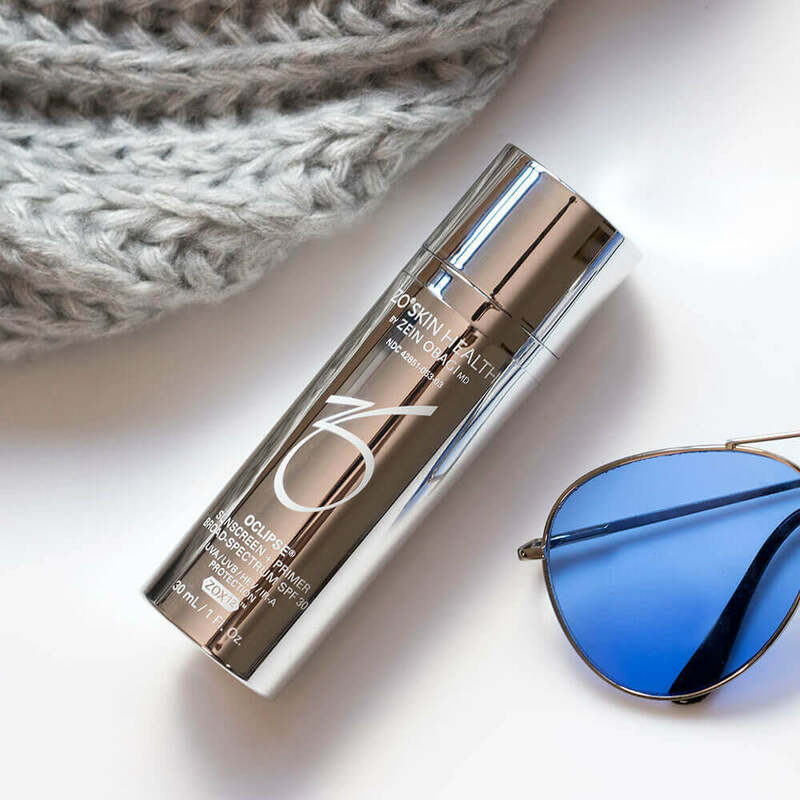 A broad-spectrum UVA/UVB SPF that uses a multiple-defence sun protection system to provides full-spectrum defence against UV rays in addition to shielding skin from the ageing effects of HEV light (high-energy visible light).